Diran Otegbade is the Founder & Managing Director of The Property Owners Group. A privately owned investment holding company that primarily invests in and operates real estate and high value businesses – particularly in Technology. A graduate of Applied Science from the University of Toronto, he is passionate about the social and economic well-being of individuals & posterity. At the start of his career, Diran worked at IBM for close to 4 years as a software developer and advisory project manager in two different business units responsible for the release management of one of IBM’s flagship software products, and for multi-million dollar contracts across multiple business units and clients in the finance, insurance, retail and tourism sectors. Steadily determined to create his own rules and become an employer of labour, Diran started an investment holding company which operates over $6 million worth of assets in Lagos, Nigeria, and the Greater Toronto Area, Canada. A vocal proponent for economic and social change, he set up a non-for-profit organization, ICANAfrica, in 2015, which funds projects undertaken by small NGOs making them effect positive changes in areas of need in small communities across Africa. 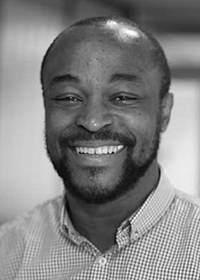 Diran is a board advisor to startups and growing companies like Loftshare.co, Chargeautomation.com, Triage.com, Trinity Suites and a few others, a member of the Nigerian Economic Summit group (NESG); and a mentor at the Entrepreneurship Hatchery at the University of Toronto. At the age of 25, Diran established a scholarship endowment at the University of Toronto which awards at least $1,000 per annum to African students pursuing an undergraduate degree in STEM, making him one of the youngest people to have instituted such a fund in North American history.